Writs R Wrought: Exciting New Video! 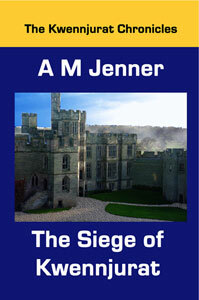 More exciting news related to the October 24 release of The Siege of Kwennjurat. I wanted to share the video trailer with you, so you can see a little more what the book is about. Remember, The Siege of Kwennjurat is the sequel to Tanella's Flight. If you haven't read Tanella's Flight yet, there's still time to get it so that you’ll be caught up with the story when it comes out.